Kerri Richardson joins Tara McGillicuddy this week on ADHD Support Talk Radio. On this podcast episode Tara and Kerri will be discussing some important issues related to Clutter, Frustration and Stress with Adult ADD / ADHD. 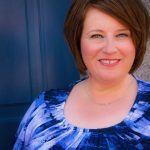 Kerri Richardson is a lifestyle designer and trained coach with more than 15 years' experience. She has worked with thousands of people throughout her career, helping them to identify and eliminate the clutter in their lives and challenging them to play bigger, shatter expectations, and fulfill their vision. Hi Tara, I’m Tara, a fellow ADDult! I wanted to bring to your attention that, although I would like to explore all your podcasts especially related to stress and clutter, the amount of talking around weight is extremely triggering. In my case, it’s because I’m a recovering disordered eater and yo-yo dieter, having seriously damaged my health trying to lose weight (only to end up 100lbs heavier than I started). The current research on weight is that it’s not only a dubious marker of “health”, but the stress of “starvation” or “famine” (what your body interprets dieting as) is much more dangerous than a weight-neutral approach. I want to introduce you a different “body clutter” book, Health at Every Size by Linda Bacon, PhD, and also check out the Life Unrestricted podcast with Meret Boxler, especially episode LU023 which is an expose on the real motivations of the weight-loss industry and media. Thank you for all your contributions to helping the ADHD community grow and learn to enjoy life!